There’s plenty to do in Goa. There are beaches to explore, there’s food to enjoy, clubs to dance the night away at, markets to browse and so much more. That’s why Goa is the preferred destination for Indian and international tourists looking for a little relaxation and recreation. Whether you spend a month or a few days, you can surely pack a tonne of activity and excitement into your trip. In this guide, we explore the best places to visit in Goa in three days. So the next time you get a long weekend, pack your bags, book your tickets and follow our guide to the places to visit in Goa in 3 days for the best trip ever. As soon as you reach Palolem, book yourself into a hotel, close to the beach. Freshen up, and then head straight for breakfast to a local beach shack. One of the best places for breakfast in Palolem is Zest. This café is organic, serves vegan and non vegan options and is plastic free. What we mean by this is that they do not use plastic. Our favourites from their menu are the nut milkshakes and the scrambled tofu. The restaurant accepts only cash and they have free WiFi, so this is a good place to get all your work done. Located about 7 kilometres away from Palolem, at Chaudi you can enjoy a few adventure sports, among which canyoning is the best. You can jump, slide or glide into the natural pools, which are a lot of fun. You can choose the difficulty based on how confident and skilful you are. This should take you about an hour. Once you are done head back to your hotel in Palolem. Rest for a bit, and then head out to enjoy nightlife in Palolem. This cosy beach shack is a great place to start your evening in Palolem. Enjoy a few drinks by the beach as you soak in fresh air and stunning ambiance of Palolem. The circular bar at Sundower is famous for its cocktails, try their coconut water cocktails. 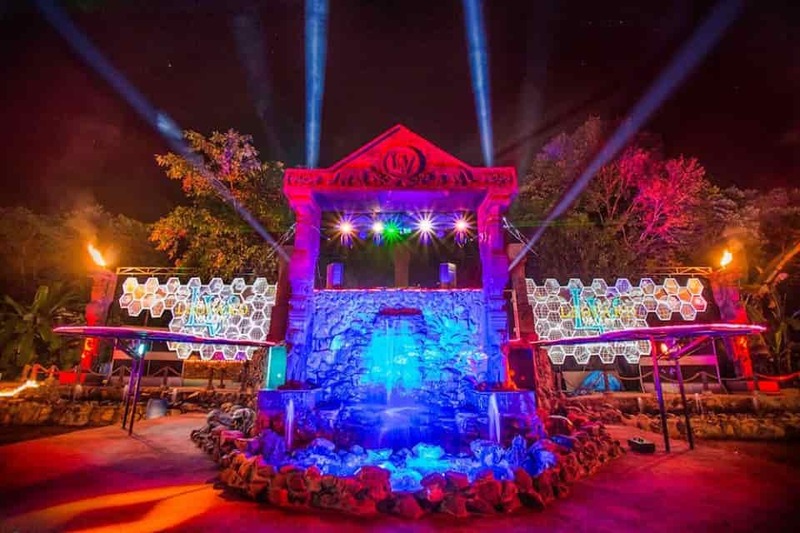 One of the coolest outdoor nightclubs in Palolem and maybe in South Goa, the Leopard Valley is a great place to party. Playing great music and offering amazing choices of alcoholic beverages, this place is lively and buzzing. Open from 9 pm onwards, on a Friday night, catch the hottest international DJs performing. Start from Palolem and head to Panjim. If you are interested in watersports, more specifically diving, you can stop at Goa Diving. Stop over at Vasco, on your way to Panjim for some scuba diving. At the Goa Diving school, you can enjoy scuba diving under trained professionals. If you are a pro at scuba diving you can go for a guided dive tour that generally lasts for an hour. Amateur and beginners can go in for a introductory dive for beginners. Once you reach Panjim, you can stop over at Cafe Bodega for a good English breakfast, they do one of the best in Panjim. Located in a Portuguese mansion, this place also serves good coffee and a variety of fresh juices. Vegetarians can try the Bagel with cream cheese. If you want to make a few extra bucks or are looking for something fun to do, we suggest you visit the casino cruises in Goa. They all dock at the Mandovi River, near Miramar and have many casino games and slot machines. Entry is restricted to those over the age of 18, you will need to show a valid government ID Card to gain entry to the casino. Entry Fee: Weekdays at Rs. 1,500 and Rs. 2,000 on Weekends per person. Panjim is a great place to do all your shopping. From local sweets to Feni ( a local alcoholic drink) and even cashew nuts, you can find it all at stores here. In fact, there is a special Kaju Market in Panjim, where you can shop for cashew nuts at discounted prices. You can also shop for local masalas here. Reach North Goa and book yourself into a hotel near the beach. In and around Vagator, Baga, Calangute and Anjuna, you will find many hotels and beach shacks that offer accommodations. Settle down at your hotel and then head out to explore all the fun activities that North Goa has to offer. Located close to the beach, this is a chilled out place that is ideal for lunch or an afternoon snack. Its quirky décor and comfortable, beach café like setting, sets in the right mood for a day by the beach. They serve delicious Goan and Konkan food, try the Prawn Balchao and the Chicken Xacuti. The beaches in North Goa offer you a great shopping experience. You can shop for sarongs, short pants, t-shirts, swimwear and even junk jewellery at bargain prices. While the variety is excellent, you will to know market rates, a good bargain might get you a great deal. 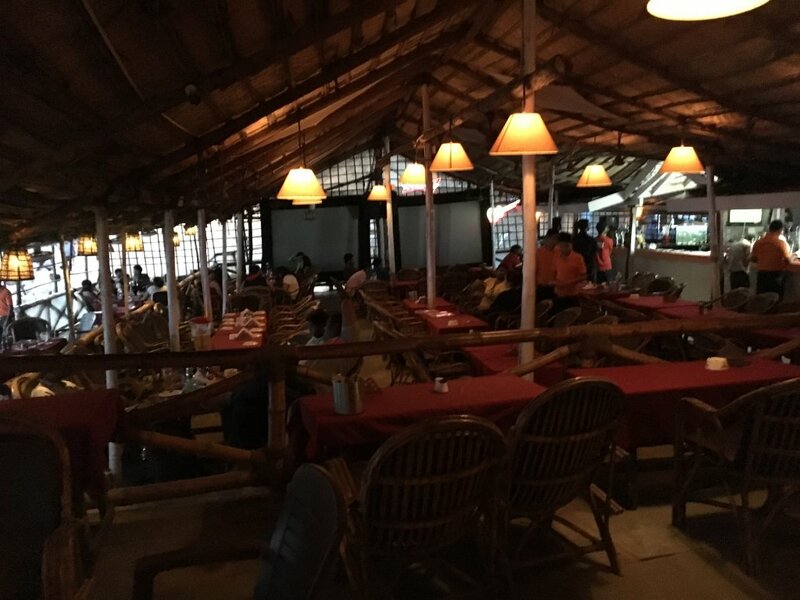 A cool experience in Goa is to enjoy drinking at a beach shack. There are many beach shacks in Goa that offer good choices in alcohol. Picking a place actually depends on your choice, while there are some iconic places, there are others that serve good food and offer chilled beer. A household name in Goa, Tito’s is the best place to party in Goa. Packed to capacity with party revellers who come to enjoy a night out, this place has the best music and a fantastic vibe. The best time to visit is post 9pm, when the party’s just getting started. One of the things you should not miss out on is adventure and water sports at the beach. You will find a variety of adventure sports to choose from at Baga, you can go parasailing, on a banana boat or even enjoy a few Jet Ski rides. Those who are looking for something less adventurous can enjoy boat rides at the beach. There are two important forts in North Goa, the Chapora Fort and the Aguada Fort. Both are equally good to visit, and they have a lot of history behind them. If you want to have a good time, we suggest going to the Chapora fort. The climb up serves as a mini trek, and you get stunning views of the sea shore. This state has many things to do, but if you are looking to have a good time, we suggest you use this travel plan if you are planning a Goa trip for three days. If you are looking for more ideas, places to see and things to do in Goa, follow our other blogs on Goa. We have got all the best tips for you to have a good time in Goa.